Arch Oboler is often compared with other radio genius of his time, like Orson Welles and Norman Corwin. Unfortunately, Oboler often gets painted with the dry brush. Truly, it is a matter of success drawing praise, but it ignores the real gifts that Oboler brought to radio and later the big and little screens. Corwin had an almost Shakespearean command of language and brought a sense of high theater to his radio projects. In comparison, Arch Oboler was more like the kid at summer camp whom we remember for telling the scariest radio stories around the campfire. Both artists were incredibly effective at delivering their message, Oboler perhaps more so because of his directness and simplicity. Orson Welles was also a larger than life story teller, especially on radio, but his work lacked the startling and sometimes disturbing originality of Oboler’s. In Hollywood, Citizen Kane enjoyed runaway success in comparison to any of Oboler’s film work, but Oboler may have had greater success at telling his stories, his way, than Welles. Arch Oboler was first and always a teller of tales. His vision, as well as his relation to authority, may have been difficult for others to understand, but his stories are always fascinating. Oboler’s parents were poor but cultured Jewish immigrants who settled in Chicago. Arch grew up a voracious reader, and learned to value his own opinions. This led to a precociousness which sometimes got him in trouble. There was always classical music and books in the Oboler household. Arch was a huge fan of movies, and his father managed to get an early Bell & Howell Filmo 16mm movie camera for him. He sold his first short story at the age of 10 and wrote pulp fiction throughout his teen years. He possessed the discipline to write, as well as to nearly achieve a Golden Gloves championship. However, the University of Chicago expelled him for his confrontational attitude, and he became a full time fiction writer. Oboler saw radio as having a great deal of untapped potential as a storytelling medium (he saw it as being “wasted” on radio soap operas). He managed to sell an unsolicited script which was used as part of the inaugural broadcast from NBC’s Radio City in 1933. The show was a success, but Oboler took some heat for making fun of a sponsor. The young writer received some tasking between 1933 and 1936, but his break came when Rudy Vallee’s program featured one of his plays. This lead to a 52 week gig writing for Don Ameche on the Chase and Sanborn Hour. This placed him in a good position to be tapped as head writer for Lights Out! when Wyllis Cooper left for the movies. Lights Out! is Oboler’s best remembered contribution to radio, although apparently not a personal favorite. He did enjoy the artistic freedom afforded by a Tuesday midnight time-slot, but even then he managed to ruffle feathers. Oboler longed to write stories that showed the dangers of Fascism. He said that when working on Lights Out! He would write two weeks of full horror, and the third try to inject a more serious, thought provoking topic. Oboler managed to attract controversy with a 1937 sketch for the Chase and Sanborn Hour, which featured Mae West in a bawdy version of the Garden of Eden. The short play is tame by modern standards, and Oboler maintained that the biggest sin was broadcasting it on Sunday night. NBC banned Mae West from radio over the incident. 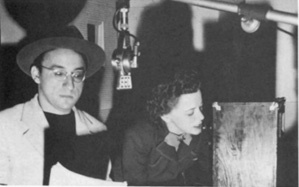 Oboler, however, found himself in the right place at the right time in 1939 when NBC was looking for a project to compete with Columbia Workshop on CBS. 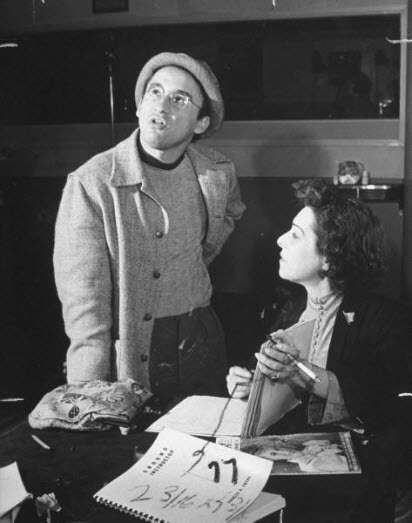 Recognizing that he would be in direct competition with Norman Corwin, NBC gave Oboler complete creative control and even put his name on the project, Arch Oboler’s Plays. The show began without a sponsor, and had the misfortune to play on Sunday nights at 7 to 7:30, the same time Jack Benny was on CBS. However, the stars were lining up to work on a show scripted by Oboler, and soon Proctor and Gamble picked up sponsorship, but renamed the show Everyman’s Theater. 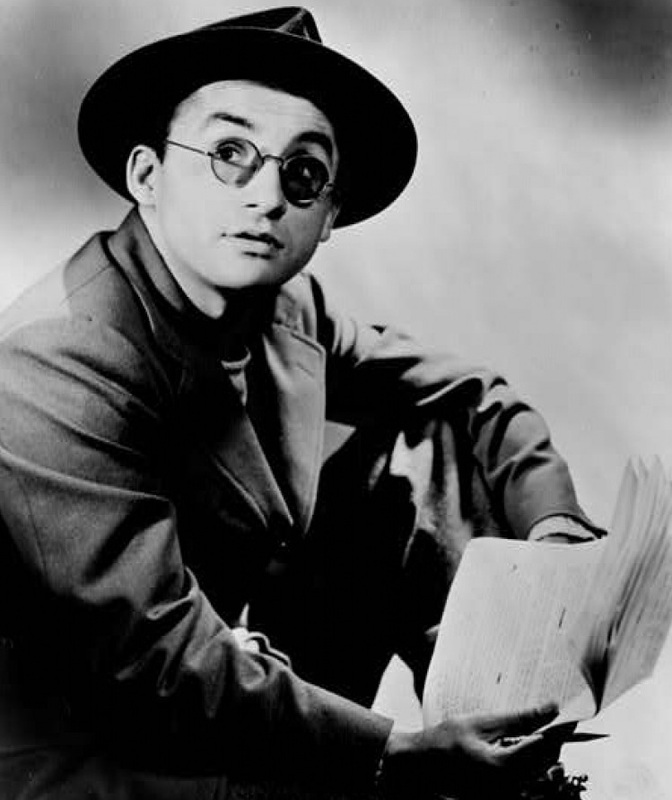 After the attack on Pearl Harbor, Oboler’s anti-Facist sentiments became more appealing to audiences, and he became involved with a number of patriotically themed projects, including Four For the Fifth, Plays for Americans, Everything For The Boys, and several other War Bond related projects. 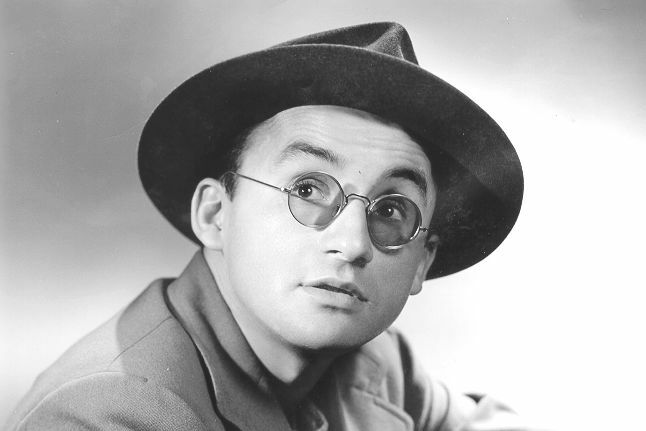 Oboler’s film career was unsteady from the beginning, but consistently shows the same level of creativity in storytelling that he put into his radio work. His first directorial project was a propaganda short for General Motors, which the auto company choose not to release. The story starred Claude Rains as a man who returns from vacation to find that Nazis have taken over his town, along with the whole US. With GM dragging their feet, Rains and Oboler bought back the picture and expanded it to the full length Strange Holiday. Bewitched was a more “Oboler-esque” project, based on the radio-play “Alter Ego” about a woman with a split personality. The 1951 film Five was post apocalypse tale of a woman tormented by the belief her husband survived radiation poisoning. Five was the first American Film to use magnetic tape sound recording. Oboler was far from afraid to stretch technical limits in his films. While working in Africa, he became fascinated with the man-eating Tsavo Lion story. He used this as the basis for a script, but when he was discussing the project with colleagues, he received encouragement to use the story in a newly developed 3D format. 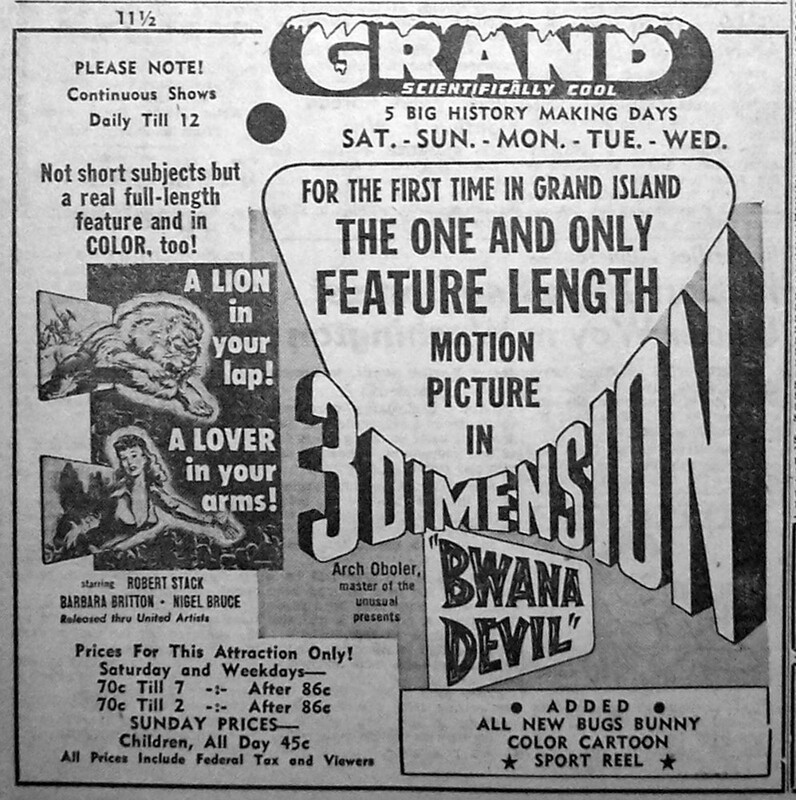 The result was Bwana Devil, Hollywood’s first feature length color 3D film. Oboler scripted The Twonky (1953), which came from a story in Astounding Science Fiction. The story is of a college professor who discovers that his TV is actually a robot from another world. 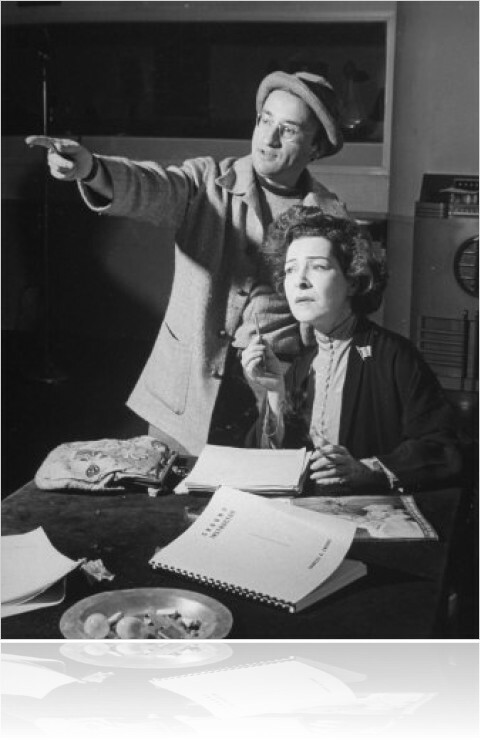 In 1956, Oboler tried his hand at Broadway with Night of the Auk. The play, which was about a space mission to the moon, closed quickly, but a cut down version appeared on Public Television in 1960 (with William Shatner walking the decks of a spaceship for the first time). In 1987, Arch Oboler died suddenly from a heart attack while in the hospital. At the age of eighty, he was still dictating stories to his secretary while on his deathbed. This entry was posted in Agnes Moorehead, Arch Oboler, Lights Out and tagged arch oboler, Everyman's Theater, Everything for the Boys, Four for the Fifth, Lights Out, Mae West, Plays for Americans, War Bonds. Bookmark the permalink.